Though the 2017 Volvo XC60 lags fresher rivals like the Mercedes-Benz GLC in some areas, this premium-compact SUV merits attention. Savvy buyers will appreciate this 5-passenger crossover SUV's wealth of safety technology, feature content and stylish looks. Streamlining of its lineup for 2017 limits engine options but also reduces model complexity. An all-new model is around the corner for 2018. The power of the Volvo xc60 is amazing. It can accelerate really fast, which is sometimes necessary when driving in traffic. It also has amazing safety features. The car beeps when you start to drift out of your lane, which is great when I am tired driving home. It also has amazing warnings for when you could hit the car in front of you while driving or when you are close to an object while parking. One thing that is helpful for when you have children is that it has weight sensors in the back that tell you when your child is not buckled up; most cars do not have sensors in the back. I also love that you can so easily play Audio from your phone using Bluetooth, aux, usb, etc. , and the sound quality is amazing. And when you go back into your car with your phone, it automatically connects so that you can play music without manually reconnecting or talk on the phone with someone through the car speaker. The car feels so safe because of its size but at the same time at all not too big to easily drive. I am obsessed with this car! I chose the Volvo XC60 for several important features. Safety being number one. Reliability and comfort as well as looks we're deciding factors. I put a lot of miles on my vehicles. At 70,000 miles my air conditioner went out. Volvo maintenance is very expensive if not in warranty. I would choose Volvo again. Volvo xc60 has everything that I need in a vehicle. My car is reliable, safe, very comfortable and I love all the features. It has high quality performance. The back seats turn into booster seats for children which serves as a car seat. Awesome feature! I also love my heated seats and ability to start car to warm it up (especially during the winter months). 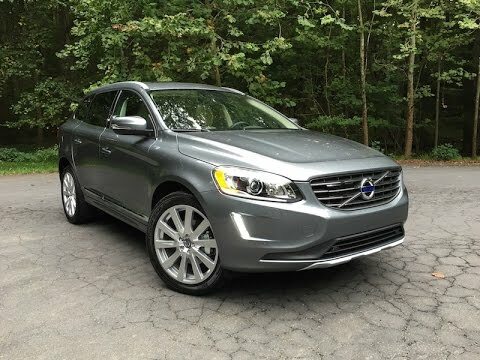 Volvo Car USA LLC (Volvo) is recalling certain model year 2017 S60 and S60 Cross Country, V60 and V60 Cross Country, and XC60 vehicles manufactured August 16, 2016, through October 21, 2016. The affected vehicles have driver and front passenger seat side mounted side air bags (SAB) with inflator initiators that may fail to ignite during a crash. As such, these vehicles fail to comply with the requirements of Federal Motor Vehicle Safety Standard (FMVSS) number 208, "Occupant Crash Protection" and number 214, "Side Impact Protection." If the air bag inflator initiator fails to ignite, the air bag will not deploy, increasing the risk of injury. Volvo will notify owners, and dealers will inspect and, if necessary, replace the front seat side air bags, free of charge. The recall is expected to begin on February 13, 2017. Owners may contact Volvo customer service at 1-800-458-1552. Volvo's number for this recall is R89712. Volvo Car USA LLC (Volvo) is recalling certain 2017 S60, S60CC, V60, V60 Cross Country, and XC60 vehicles. The affected vehicles have driver and front passenger seat side mounted side air bags (SAB) with inflator initiators that may fail to ignite during a crash. As such, these vehicles fail to comply with the requirements of Federal Motor Vehicle Safety Standard (FMVSS) number 208, "Occupant Crash Protection" and number 214, "Side Impact Protection." Volvo will notify owners, and dealers will inspect and, if necessary, replace the front seat side air bags, free of charge. The recall began March 31, 2017. Owners may contact Volvo customer service at 1-800-458-1552. Volvo's number for this recall is R89712. Note: This recall is an expansion of recall 16V-918.